Want to meet new people and experience an exhilarating workout? Then our Group Fitness programs are just for you! The sports inspired cardio workout for building strength and stamina. This high-energy interval training class combines athletic aerobic movements with strength and stabilization exercises. Dynamic instructors and powerful music motivate everyone towards their fitness goals - from the weekend athlete to the hard-core competitor! Like all the LES MILLS™ programs, a new BODYATTACK™ class is released every three months with new music and choreography. The empowering cardio workout where you are totally unleashed. This fiercely energetic program is inspired by mixed martial arts and draws from a wide array of disciplines such as karate, boxing, taekwondo, tai chi and muay thai. 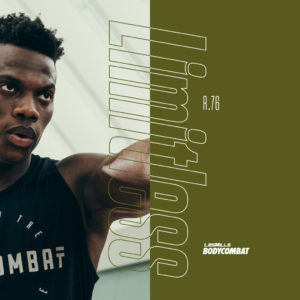 Experience the driving music and powerful role model instructors which make BODYCOMBAT™ the world's most popular martial arts group fitness class. The Yoga, Tai Chi, Pilates workout that builds flexibility and strength and leaves you feeling centered and calm. Controlled breathing, concentration and a carefully structured series of stretches, moves and poses to music create a holistic workout that brings the body into a state of harmony and balance. Like all the LES MILLS™ programs, a new BODYFLOW™ class is released every three months with new music and choreography. 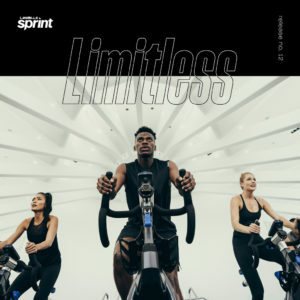 LES MILLS™ is a 30-minute High-Intensity Interval Training (HIIT) workout, using an indoor bike to achieve fast results. It's a quick and hard style of training that returns rapid results with minimal joint impact. The original LES MILLS™ barbell class will sculpt, tone and strengthen your entire body fast! Great bodies aren't born they are transformed, using the proven BODYPUMP™ formula: THE REP EFFECT™ a breakthrough in resistance workout training. Focusing on low weight loads and high repetition movements, you'll burn fat, gain strength and quickly produce lean body muscle conditioning. BODYPUMP™ is one of the world's fastest ways to get in shape as it challenges all of your major muscle groups while you squat, press, lift and curl. The cutting-edge BODYPUMP™ choreography and chart-topping music is refreshed every three months, so with your choice of weight and highly-trained instructors you can get the results you've been looking for! The energizing step workout that makes you feel liberated and alive. Using a height-adjustable step and simple movements on, over and around the step you get huge motivation from sing-a-long music and approachable instructors. Cardio blocks push fat burning systems into high gear followed by muscle conditioning tracks that shape and tone your body. For those looking to increase the intensity and drive phenomenal results the circuit styled functional training of the BODYSTEP™ Athletic variation is ideal. LES MILLS TONE is a challenging mix of lunges, squats, functional training and resistance tube exercises that will help you burn calories, tone and strengthen muscles and take your fitness to the next level. Provides the vital ingredient for a stronger body while chiselling your waist line. A stronger core makes you better at all things you do - it's the glue that holds everything together. The indoor cycling workout where you ride to the rhythm of powerful music. Take on the terrain with your inspiring team coach who leads the pack through hills, flats, mountain peaks, time trials, and interval training. Discover your athlete within - sweat and burn to reach your endorphin high. 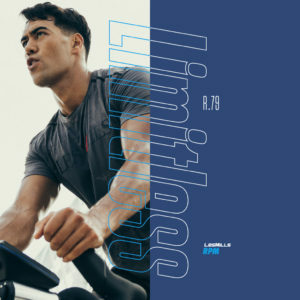 Like all the LES MILLS™ programs, a new RPM™ class is released every three months with new music and choreography. Our Yoga class is a variety of yoga styles, primarily vinyasa flow in the first half of class and hatha yoga in the second half. Class is 60 minutes in length. Other styles are brought in from time to time to give our members a variety of experiences. Ditch the Workout! Zumba is a Latin based workout that is fun and easy to do! The class is one exhilarating hour of caloric burning, heart racing, muscle pumping, and body energizing movements in a format YOU could take to the dance floor! The routines feature interval training sessions where fast and slow rhythms and resistance training are combined to tone and sculpt your body while burning fat. Add some Latin flavor and international zest into your workout and you've got ZUMBA! Zumba classes are held at both the Yakima Athletic Club and YAC Fitness. Check the Group Fitness Schedule for specific days and times.